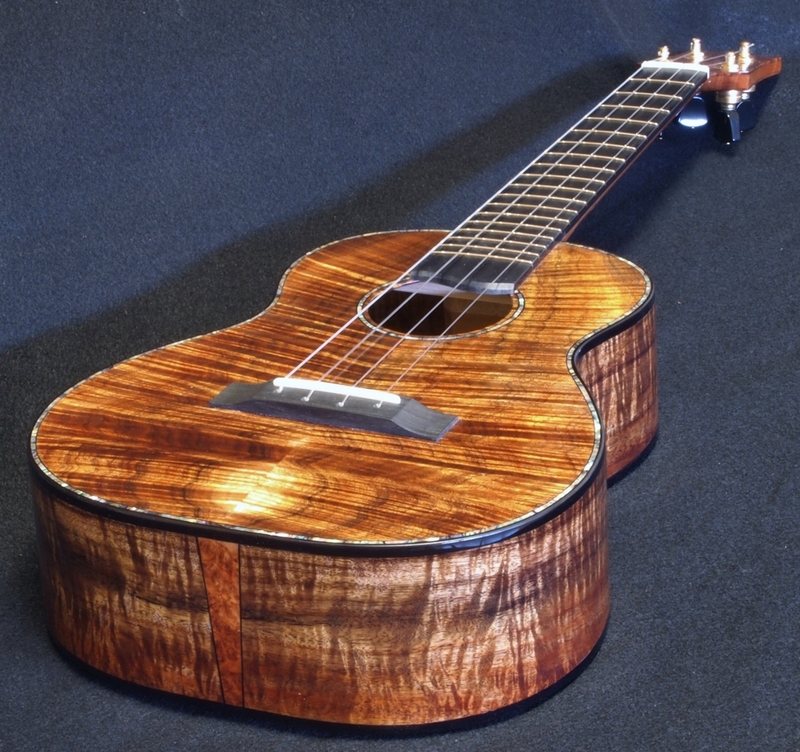 Ukulele builders just want to have fun. Why not! 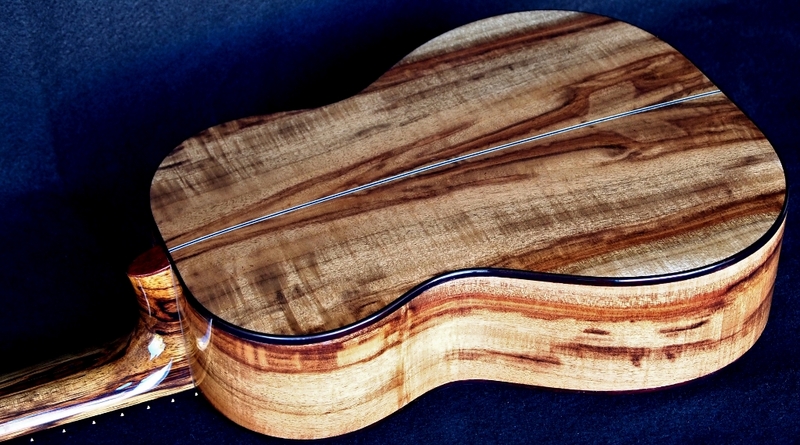 I could have made this custom ukulele into a classic-type instrument but then what would I have done with this beautiful curly Myrtle Wood sound board. In case you didn’t know, this wood is particular to southwest Oregon and northwest California. Not exactly rare but not widely harvested either. Most of the wood available is fairly blond and not particularily outstanding in appearance. 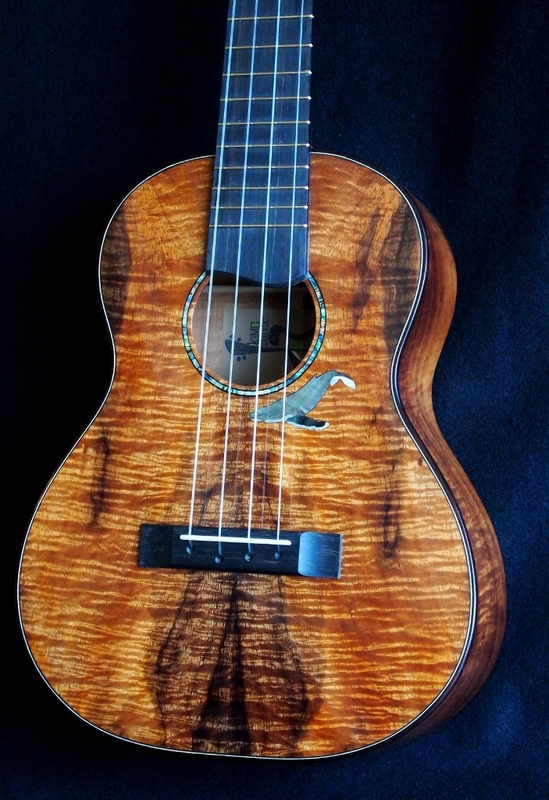 I would consider the curl and color of this custom ukulele to be rare. 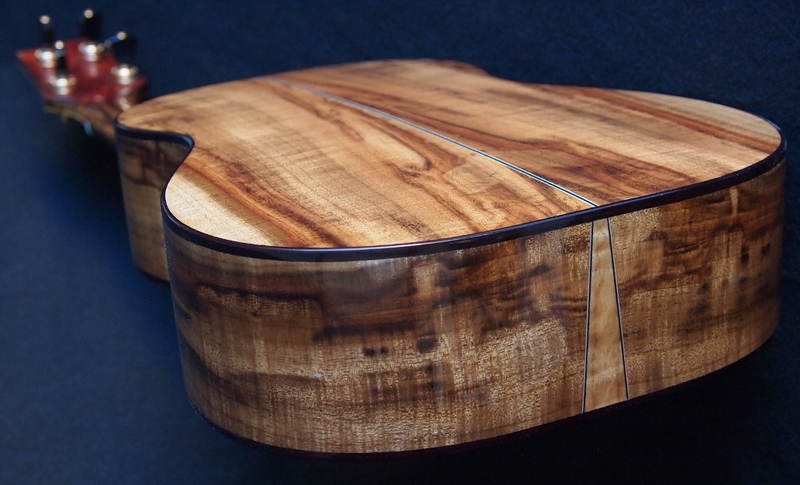 I think I have said before that I like this wood for its variety of looks and it’s similarity to Hawaiian Koa in density and tap tone. 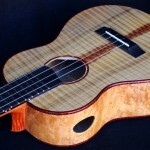 Breedlove Guitars has done many you tube videos on their Oregon Series Myrtle Wood Guitars. 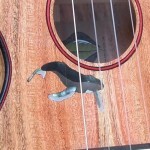 I used a blue/white wood purfling to accent the India Rosewood binding. 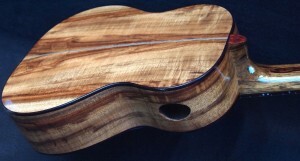 The neck is African Black Limba with internal carbon fiber truss rod. The finger board and bridge are Munn Ebony which is a bit brownish in color but with almost no pores–just like the good stuff from the old days. I’m still using GHS low “G” flourocarbon strings but with Sarah Maisel’s low”G” in the string set. Maybe I can get GHS to package this combination in the future.